Bones is an American police procedural television drama series created by Hart Hanson and loosely based on the works of real-life forensic anthropologist Kathy Reichs, in which each episode focuses on an FBI case file concerning the mystery behind the human remains brought to the forensic anthropology team at the Jeffersonian Institution. Dr. Temperance Brennan (Emily Deschanel) is a highly skilled forensic anthropologist who works at the Jeffersonian Institute in Washington, DC, and writes novels as a sideline. When the standard methods of identifying a body are useless - when the remains are so badly decomposed, burned or destroyed that CSI gives up - law enforcement calls in Brennan for her uncanny ability to read clues left behind in the victim's bones. Most law enforcement can't handle Brennan's intelligence, her drive for the truth, or the way she flings herself headlong into every investigation. Special Agent Seeley Booth (David Boreanaz) of the FBI's Homicide Investigations Unit is the exception. A former Army sniper, Booth mistrusts science and scientists - the "squints," as he calls them - who pore over the physical evidence of a crime. But even he cannot deny that the combination of his people-smarts and Brennan's scientific acumen makes them a formidable team. Aside from Booth, Brennan is most comfortable with her equally brilliant colleagues at the Jeffersonian's Medico-Legal Lab. Angela Montenegro (Michaela Conlin), an artist who specialises in reconstructing facial features and crime scenes, is Brennan's earthy and bawdy best friend; "the bug guy," conspiracy theorist Dr. Jack Hodgins (TJ Thyne), is an expert on insects, spores and minerals; and Dr. Camille "Cam" Saroyan (Tamara Taylor), the street-smart and centered coroner, must wrangle all the geniuses under her purview. Lending his professional expertise to Brennan and Booth is Dr. Lance Sweets (John Francis Daley), a brilliant young psychologist who is equally adept at profiling murderers and interrogating suspects, providing "couples therapy" to Booth and Brennan and offering off-the-cuff psychological advice. Bones is from Far Field Productions and Josephson Entertainment in association with 20th Century Fox Television. Hart Hanson, Barry Josephson and Stephen Nathan are executive producers. 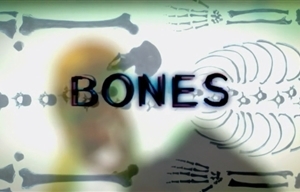 Bones originally premiered in South Africa on SABC3 on Thursday 29 June 2006, at 20h31. Only the first season aired on SABC3. It later aired on FX Africa (first four seasons only) before starting once again on FOX Africa. True Detective returns to M-Net, a PC writes a musical on Da Vinci and 1Magic gets another season of Blindspot.